I wrote this. 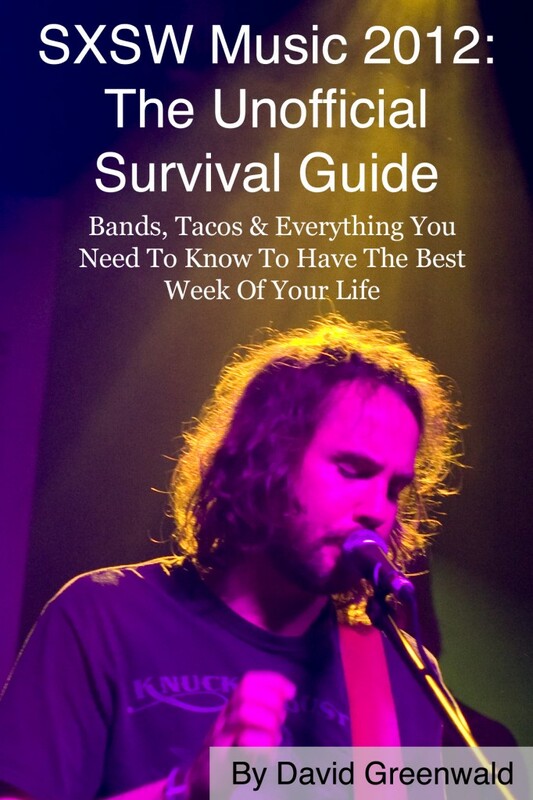 it’s a 13-page PDF or a slightly longer Kindle e-book featuring a day-by-day party guide, 20 bands to watch, how to actually get into the biggest parties, the best tacos in Austin, 10 of the coolest venues and much, much more. Everything you need to know about going to SXSW and having the best week of your life is in this guide. You can buy it for $1 from Gumroad with this link or get the Amazon Kindle version for $.99. (Amazon takes a bigger cut, so if it’s all the same to you, buy it from Gumroad.) You can read it on the plane. All profits from this are going to fund our Waynestock day party with Lissy Trullie, Big Deal, North Highlands and more. We have three great sponsors but we’re still in the red on our instruments/gear rental, venue fees and the money we’d like to pay our expert videography crew. Peter and I are throwing this party for fun, to give some bands we love a place to play. We thought about doing a Kickstarter to make up the difference, but instead I decided to make something useful for you. Whether you’re an SXSW first-timer or an Austin vet, this will be worth your time. Gumroad and Amazon both take big cuts, so I’m hoping to sell 1,500 copies. If it sells more, I’ll do something fun with the money — like paying the bands or buying you a drink. Hope you like it — and please the links along if you do. Thanks! We’ll see you in Austin. Update: a friend suggested that some people might have a few bucks in their PayPal accounts and want to donate. If that’s you, you can do that below. Leave your email and I’ll send you the PDF. Thanks again, everyone.